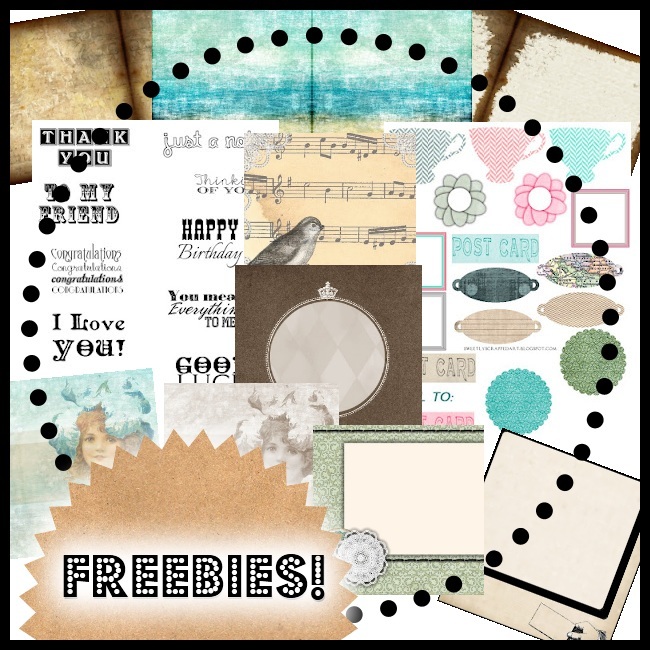 I created a few freebies for Dawn's Craft Place & More! So head over and grab them! There's some 5 x 5 cards, toppers to go with them (which also fit paper bag albums PERFECTLY!) and a few printable embellishments! These are all so beautiful! I just came from Dawn's site and love your blog. Tis a shame I hadn't discovered it before now! Thank you for all these lovely gifts! Thank you so much for sharing with all of us-I am so happy to have you as a guest today and this coming Monday again. Had a couple issues with Google Feed and I think it is working now. I also pinned and shared on Pinterest sweetie. Thank you for the freebies. They are beautiful & I can't wait to use them. Love your blog! Thanks so much for the freebies - particularly like the bird and the sentiments, both will be very useful.